Addmen can be seen as one of the most progressive OMR, ICR and OCR Software solution company that provides a complete modular Institute Management Software and Integrated Assessment Suite that fulfils the needs of all organisations that are in any way related to the process of Education and Assessment. In last 15 years, Addmen has crossed 4000 users for its Softwares, spreading across 20 countries. Besides thousands of users for Institute Management System and OMR and Assessment Softwares in India, we are providing OMR Softwares in Middle East and Africa having our OMR users in UAE, Saudi Arabia, Bahrain, Qatar, Kuwait, Egypt, Iraq, Syria, Yemen, Sudan, South Africa, Tanzania and Nigeria. In the Indian subcontinent we have OMR Software users in Pakistan, Nepal, Bangladesh, Srilanka, Indonesia and Maldives. Many Asian countries have our OMR Software in Hong Kong, Malaysia and Singapore. We have provided OMR and the Integrated Assessment system for scoring the SAT, ACT and PSAT exams to several users in the United States. We have also users for our Assessment Suite for scoring CEM exams in the United Kingdom. We also have catered our solution to the Test prep centres in Australia preparing for NAPLAN, OC Trials and Selective Trials. Some other countries for our OMR or Assessment Solutions are West Indies, Ireland, Turkey, Canada, Chile etc. We have a network of dealers in Egypt, Mexico, Philippines, Saudi Arabia. Our Android baby is powerful enough to change the way people see testing and assessment. Some institutes use our OMR Answer Sheet Checker Software for MCQ Test Checking, while some others use the Online Test or Computer based Test Softwares. 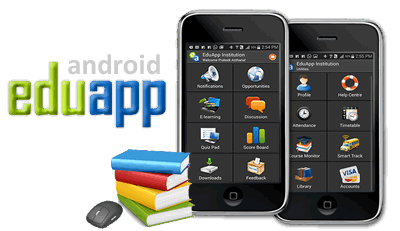 The Android EduApplet is a further advanced extension of all of these test platforms giving more convenience to the institute and encourages better participation of students. Since the students can now see test schedules, attempt tests and see detailed graphical results of tests all on their palm top, it encourages better participation of students. The Android extension of Addmen OMR Software where the printed OMR Answer Sheet is replaced with virtual sheet on the Android smartpohone screen on gives freedom from designing, printing and scanning of OMR Sheets as the test can be taken on a virtual OMR sheet on the android screen and submitted to get instant results after the class. Enhanced Campus Automation Software (ECAS) can be used as School Management Software or Coaching Management software or College Management Software or University Management Software. This is a client end customizable software having several modules that can be implemented in several combinations to server the most essential needs of an institute in most optimal budget. This is a complete solution catering to all aspects of Institute Management starting from pre-admission enquiry and leads management to the complete academics reporting and certificate validations. The Enhanced Campus Automation Software is technologically advanced to have a complementing Android App for smartphones and Tabs.